Enjoy cycling in the middle of South Tyrol's apple trees and vineyards. Explore the magnificent cycle paths along the historic Via Claudia Augusta from Reschensee through Vinschgau to Meranerland, Passeier Valley or the Mediterranean wine region to Bolzano and Lake Kaltern. 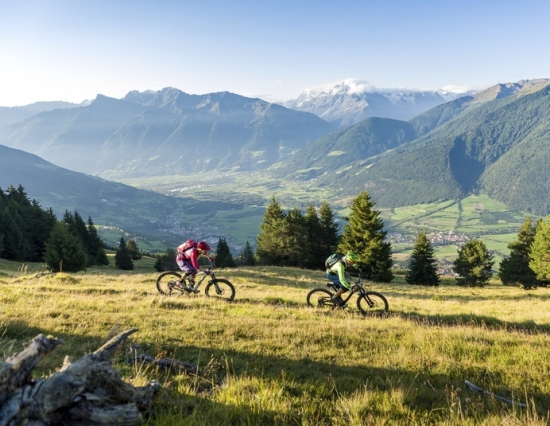 Free mountain bike rental, a cycling map of the surrounding area and 1 bike transport from Merano to Mals included!